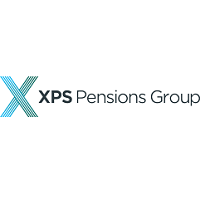 XPS Pensions Group PLC (LON:XPS) is the topic of conversation when Zeus Capital’s Research Analyst Robin Savage caught up with DirectorsTalk for an exclusive interview. Q1: XPS has reported its interim results to the 30th September, I wanted to talk to you about the numbers that they’ve released. The revenue has increased by 113% but only 3.3% proforma and the cash operating profit increased 63%, adjusted EPS increased by 8% and interim dividend per share increased about 10%. Why is there such a difference between the headline revenue growth and the adjusted EPS growth? A1: Xafinity acquired the pensions and administration businesses of Punter Southall in January 2018, both these businesses had similar revenue of just over £50 million per annum and the combined business has an historic revenue of £106 million. So, by combining the two businesses, they’re able to get over 100% revenue growth which is why the revenue growth headline is 113%. The Punter Southall’s defined benefits administration business has been number 1 rated for many years, the margins in this administration are typically half those in pensions advice or consulting. This reflects the very long-term nature of the administration contracts and also it conversely reflects the high level of expertise that’s required from the pensions, advice and consulting side. So, by combining these two businesses together, what you’re combining was a much more profitable Xafinity business which was making half the level of profitability but was still a very good long-term profitability business in Punter Southall. The acquisition of Punter Southall was a £150 million deal, part financed by debt and part by equity, and it was designed to be earnings-enhancing for the Xafinity shareholders. The underlying revenue growth for the year, which should be over 6% should lead to over 10% growth in adjusted earnings and dividend per share. At the interim stage, which in fact is less than half the year in terms of the seasonality of the business, has led to proforma growth of only 3.3% but actually adjusted EPS growth of 8% and the Board felt comfortable enough to increase the dividend by 10%. Q2: So, how would you describe the outlook the group? A2: I think we need to look at the four different divisions because the recent trading and the outlook for each division is different. So, there are four divisions, XPS Pensions is the advice and consulting part, that contributes over half the group’s revenues and XPS Admin, the market-leading pensions administrator business that generates about a third of the group’s revenues. The rest, which is about 14% of group revenues, is equally split between XPS Investment and the Defined Contribution Administration businesses that Xafinity had. XPS Investment is an investment consulting business with 43 fee earners producing reports on the performance of various pension fund asset managers. The defined contribution administration businesses provide SIPP and SSAS schemes, administrative support and also National Pensions Trust which is a defined contribution platform where the assets have grown by 40% per annum. So, if we go through all of those businesses in turn starting with the last bit. The final business units are delivering double digit growth in the number of contracts, the value of contracts and also in revenues and the incremental profit margins are well above the average which we expect to be 24.6% for the current year. The XPS Admin has won a number of big mandates for example, the Aviva Pension Scheme, staff pension scheme, which came on board in August this year and this will also benefit from the acquisition of Keir Pensions, a small acquisition of a public services administration business which completed on the 1st November. While the profit margins in the pensions admin business are half those of the other business units, the 400-odd schemes that it services generate a very high level of recurring revenues and enjoy high retention rates. So, what we’d say there is that is a business which is steadily growing but also benefiting from acquisitions and new business wins. The final bit of the pie is the XPS Pensions which contributes over half of the group’s revenues and this is dependent on the 321 fee earners, typically qualified actuaries who generate time-based fees from close to 500 client firms. In the first half, these fee owners were focussed on the important process of integrating the businesses and they were distracted from the less important task of actually growing revenues and engaging with clients. So, in the first half, there was less revenue than you might have expected being generated and there was essentially no growth in the first half of first half. For the second half, management indicates that XPS Pensions has secured valuable new projects and has numerous sources of revenues which will be able to deliver growth over the coming years. The incremental profitability of this additional revenue is high, certainly higher than average, sort of around about 30% rather than the 25% for the group. So, all in all, now that Xafinity is fully integrated with Punter Southall, each of the enlarged group’s divisions are focused on revenue generation in the second half. Q3. XPS is trading at about 161p a share is this attractive in current market conditions? A3: I think investors should look at valuations from a number of different perspectives and I’d say, yes, all in different perspectives but I’ll start off by talking about the attractions in the current volatile equity markets. Secondly, look at the value in terms of dividend yield and growth and thirdly, look at the value creation that’s taking place in its own market segment and broadly. So, if we think initially about what is XPS Pensions Group compared to other equities that are out there. Well, XPS has 100% UK revenue with 100% UK costs and with a business model which thrives on uncertainties, so I think you can say it was almost built to be a beneficiary from Brexit’s uncertainty and other uncertainties around the world. So, when trustees or corporate sponsors of defined benefit schemes are concerned about what’s happening to financial markets, to interest rates, to government regulations, they need to talk to their advisor/consultant. Who better than XPS to tell them how to sort out their problems. Secondly, in terms of the dividend yield and growth, if you annualise the interim dividend which when you annualise you would get to 6.9 for the full year and it’s trading 161p offering a 4.3% dividend yield with prospects of 11% growth for the next 3 years. So, given that the equity market itself is trading on a 4.3% dividend yield, growing at 6% per annum, I think what you could see is it’s delivering a market dividend yield but with better growth prospects, and given my first point, with a business mode which is designed for uncertainty. The third point is pensions is a slow-moving business, I think we all recognise that, clients think about making a decision, then they eventually take a decision and then eventually they enact the decision. So, the change their administrator, instruct a risk reduction project or they transfer assets from one provider to another, for example, from a pensions scheme through to an NPT, National Pensions Trust. It’s a very slow-moving business, these results provide evidence of growth from the new admin side, from the investment side, from the SIPP and SSAS and NPT clients and it shows evidence of new projects coming on board. More importantly, these new clients and new projects, will convert to revenues in the second half of this year and in coming years. So, there is a compounding slow growth over a number of years which should have hugely beneficial impacts on investment returns to the shareholders who buy now. Click XPS ZEUS for the full archive.